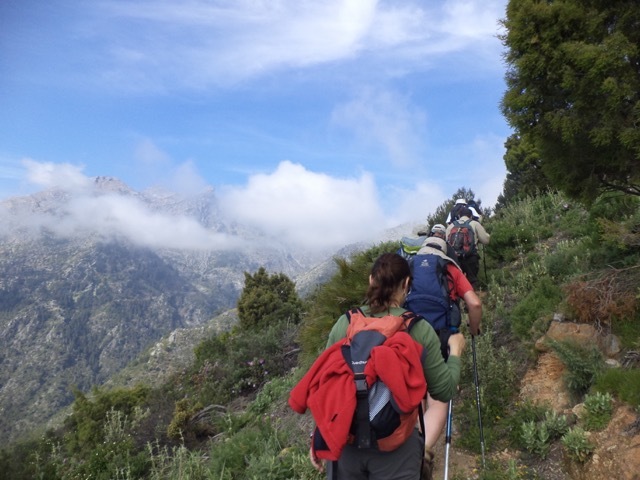 The Andalucian landscape offers a plethora of stunning hikes and treks for those who like to spend time in nature. Some trails are well marked and frequented by hikers, while others might be more of an isolated expedition. 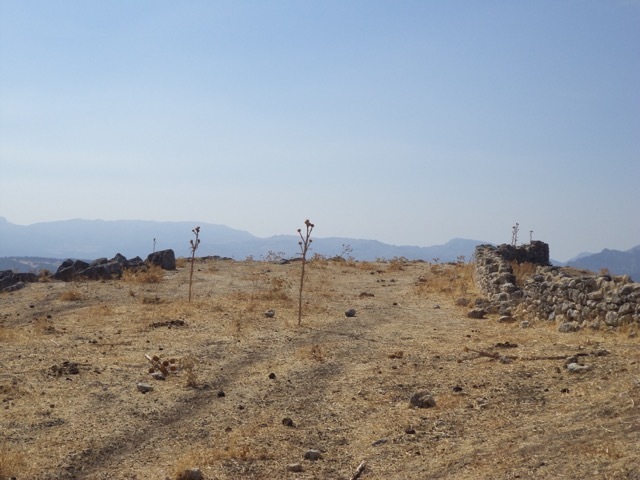 However, whether one prefers to ascend peaks or to stroll on farm roads between traditional villages, there are certain things every walker ought to keep in mind before venturing on the trail. 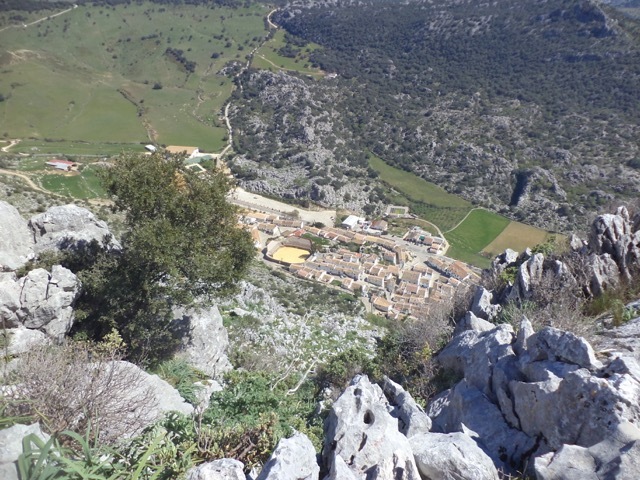 Here are six tips on how to have a safe and enjoyable hike in the Spanish south. I don’t know how many times we have gone hiking with a group and someone has showed up with completely inappropriate footwear. Spanish women love their heels and many try to sneak in a bit of extra height even on the trail. The problem is that heels put you automatically off balance, especially when walking in steep inclines, and after a couple of hours the wearer probably would give their first born to get the darn things off. Younger hikers often show up in flat-soled city sneakers with absolutely no grip or support, which is rather important to have on mountain trails. A woman even showed up once in Doc Martens, which we had to Duct Tape together in mid-trail. So, fashionable or not, you need sturdy footwear. 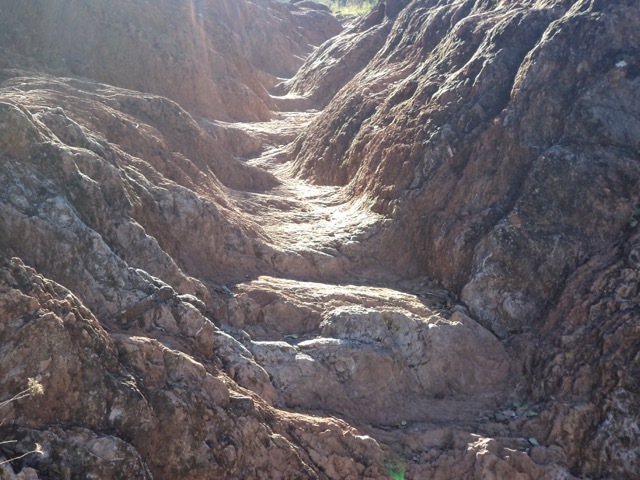 Regardless of the difficulty of the trail, you are certain to run into rocks and dust. You may have to leap over boulders or cross a river. Guaranteed there will be prickly brambles and thorny bushes. And with a very high probability there will be hills, as in up and down. Therefore, the first thing one ought to have when hiking in Southern Spain is proper footwear, such as trail runners or light hiking boots. 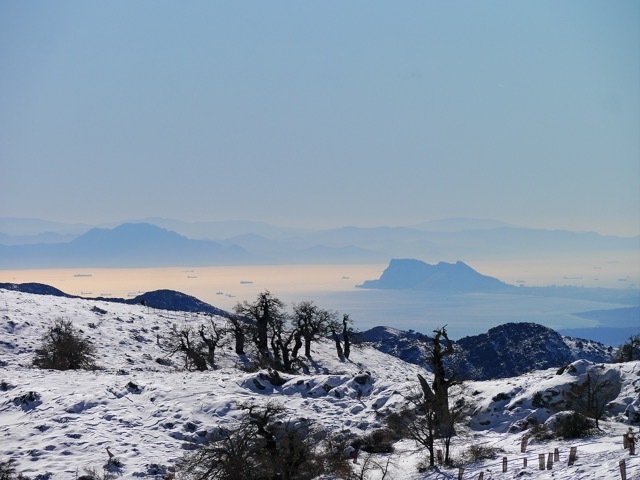 This is Spain and it will be hot, even in late fall or early spring, as our fainted co-hiker last week can witness to. You will be surprised how many times we will go for a +20km +6 hour hike and someone will arrive with a measly 250 ml bottle of water, saying they will refill it on the way. For one, you can never count on the rivers or springs having water year around. Secondly, you cannot count on the water being drinkable, especially if you come from a different climate with different bacteria in the water. 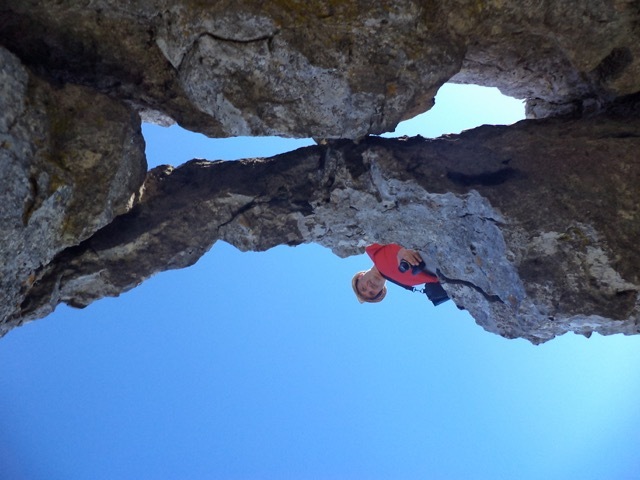 And, unfortunate or not, you cannot count on finding bars in the sierra. So you must carry your liquids with you. Liquids are vital on hikes. If you can, you shouldn’t only bring liquids for yourself, but also enough to share in an emergency. We have had co-hikers keel over or get into a diabetic shock during a hike, at which point an extra tetra-pack of juice or a spare bottle of water has been of great importance. Since I will get low blood sugar, I not only bring my camel pack full of water (2.5 litres), but I have at least one extra bottle with an energy drink with sugars, salts and electrolytes. The minimum for a regular day hike is 2 litres, (more in the summer), though if you can carry more, do it. 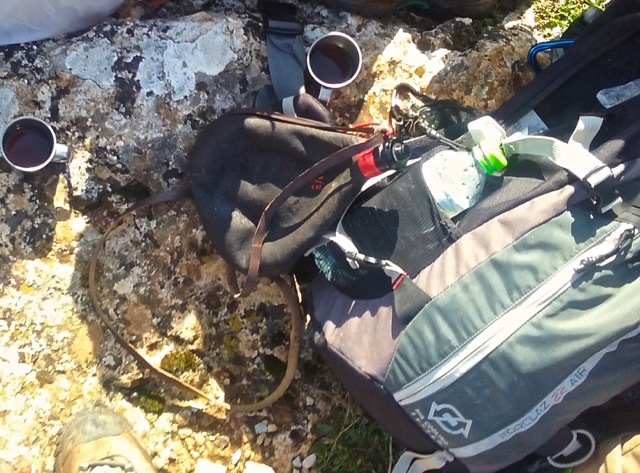 The good thing is that your pack will get lighter as you consume the liquids, and it will eventually end up behind a tree. All you have to do to know the importance of your backpack, and it’s content, is to be lost once. Just once. I got lost in the British Columbia coastal mountains one time and had to find my way back in the dark among the enormous trees without a flashlight, virtually carrying my 4-year-old son. I will never hike without a flashlight again, even if I am going for a quick mountain stroll. Equally, if you have gotten a nasty blister or a cut on a hike, you will likely never leave your first aid kit and Band Aids at home. Your guide should have an emergency kit, but what if you get lost from the group and have to spend the night alone in the mountains? Imagine how you will miss that extra sweater or that power bar that you chose to leave at home, just to make your pack lighter? Even if you do only day hikes, your pack should be of good quality and decent size, have proper back support and ventilation, padded straps, a waist belt and ideally a whistle. Additional ‘secret’ zip pockets in the belt are very practical for mini-snacks for those of us who need to graze along the way. Meshed side pockets for bottles are very useful, as is a compartment for a camel pack. The main compartment of your backpack should be big enough to room extra clothing, sunscreen, hat, food, snacks and extra liquids. I am not mentioning specifics about food, as at least here in Spain people are much better at bringing eatables than liquids on hikes. Another vital item to bring, especially if you hike alone, is a GPS or cell phone with GPS installed. As a female hiker, I bring Kleenex and extra feminine hygiene products, as I assure you that any woman who is stranded with her period in the middle of the bush will be eternally grateful to you. Finally, there should be seasonal changes to the content of your backpack. When fall and winter comes along, I always add a set of ear-protectors and an extra pair of thin gloves. I rather have two thin pairs than one thick unruly one. A wind- and waterproof shell is also a must, as is extra socks. For more remote hikers, I would also suggest having a reflective emergency blanket. A colourful vest, like the one road crews use, takes up no space and may help find one if one happens to be lost in the sierra. Not that you ever want to be, but it is better to be overly prepared than regret it later. Poles are a matter of taste and habit, though I feel almost naked without them, since I grew up x-country skiing in Norway. 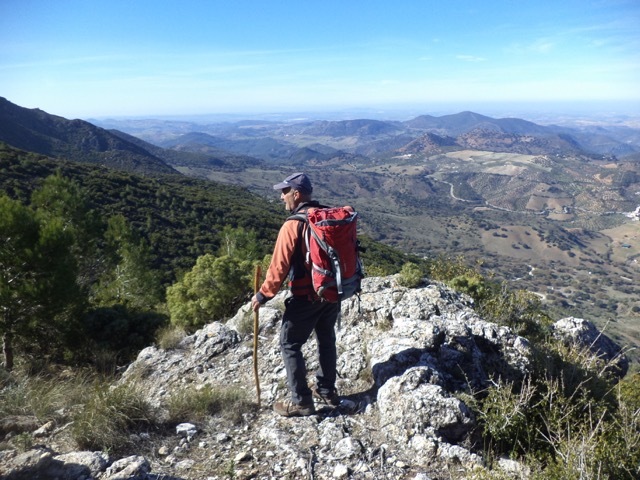 Here in Andalucía many hikers still favour a single wooden walking stick, which of course also have its benefits. 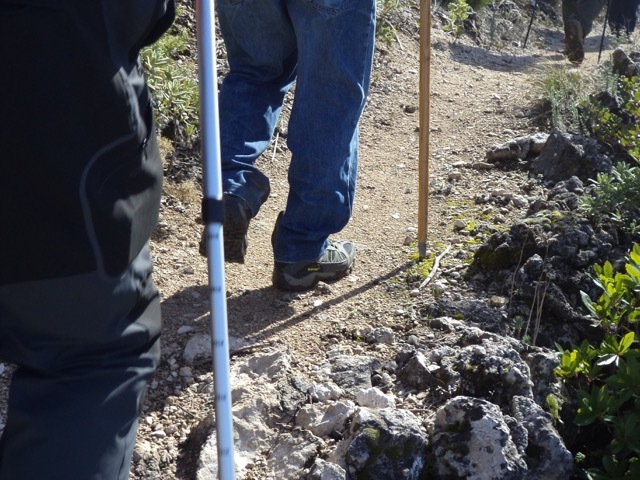 The best hiking poles are collapsible with a built-in spring systems and have comfortable wrist straps and handholds. Some also come with a built-in flashlight in the handle, which believe me, may come in very useful. Though poles are not always necessary, it is good to bring them along. Primarily, they can help support and stabilize you in steep slopes and pull you up hills. Secondly, they can take a load off your feet when you are dead tired or help compensate should you hurt a leg or a knee. They give you better all-around exercise, bringing more blood to the heart and giving you additional upper body strength. 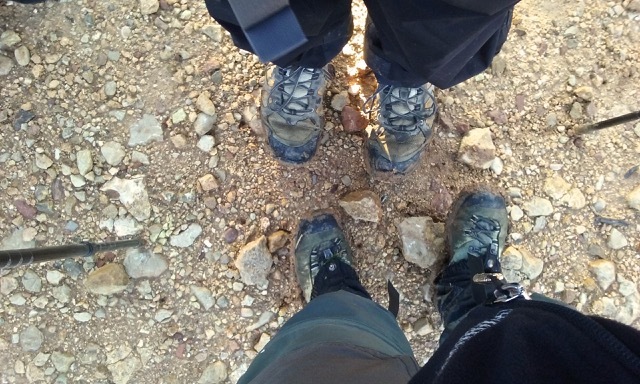 Finally, they are great to share when a fellow hiker needs a bit of help. Knowing where you are going, from start to end, and what possible obstacles you may encounter along the trail will avoid unpleasant surprises during a hike. (Also telling somebody else where you are going, is a good rule of thumb) Make sure to read up about the planned trail before going, even if you are going with a guide. If the group is big, chances are that you will not catch everything the guide is saying, especially if your co-hikers are Spanish, who generally have a hard time being quiet while others are speaking… Knowledge about the route will help you decide what you will need to bring in your pack. 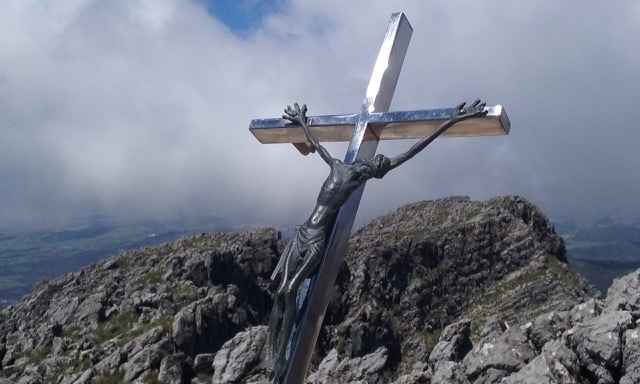 Had our fellow hikers last weekend checked that the temperature were going to climb over 30 degrees or had they looked at the map describing the vertical climb, they might have requested an easier route and avoided a potentially dangerous situation. 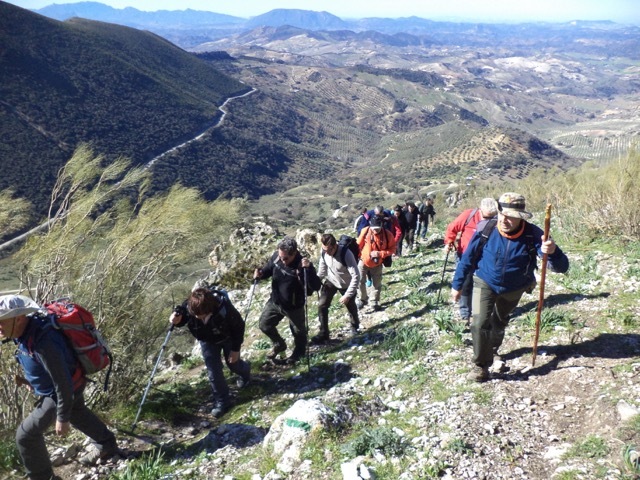 The grading of Andalucian hikes is rather basic, as routes are divided into three levels, bajo (low), medio (medium) and alto (high), with an addition of medio-alto in some cases. With such limited groupings, there is of course a wide range of difficulty levels within each classification. 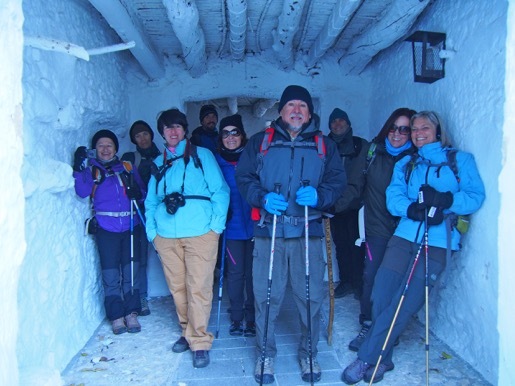 In addition, different guides and hiking groups classify their walks differently, so a medium-level hike with one group is not the same in another group. The most certain way is therefore to read up on the hike, checking the total vertical ascent and descent etc. to be able to properly determine if one is realistically able to do the hike. This is really the most important tip for doing any hike or physical activity for that matter. You need to know yourself and accept your limitations. They say that the good tings in life can kill you, and that is indeed true about the mountains. The Andalucian sun that looks so lovely at sunrise can fry you to a crisp in the midday heat. The welcoming light breeze can become a freezing storm in mere minutes, and those gorgeous treeless vistas offer no protection or shade at all. By all means, go hiking. It’s fun. It’s exciting. It’s healthy. It’s probably the best therapy you can give yourself. But know your limits and be honest with yourself. If you want to start exercising and haven’t done it forever, starting in la sierra is not the way to do it.